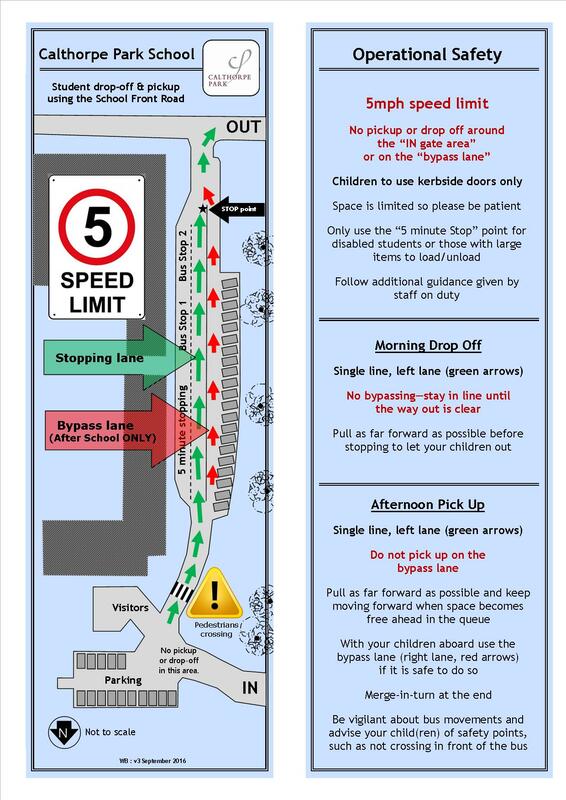 Here you will find some input from our students and parents. 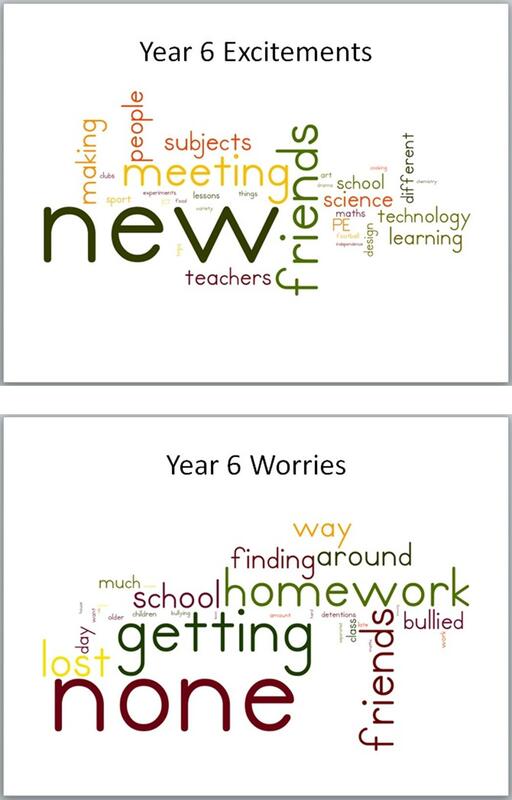 Year 6 were asked 'What are you excited or worried about?'. Year 7 were asked 'If you had to give the new year 7s one bit of advice, what would it be?'. 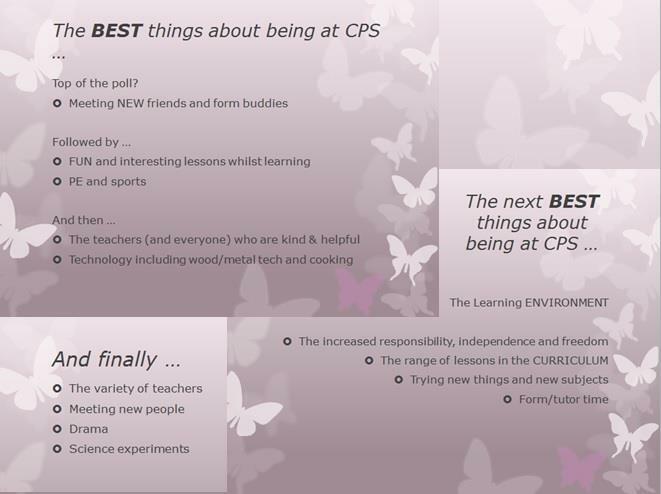 You will also find out what our Year 7 students think the BEST thing about Calthorpe Park is. And you can read some of the comments made by parents on a recent survey with regards to transition.